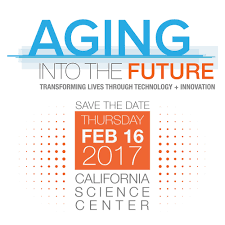 Over the last several years, older adults have been the fastest growing segment of the online population. More and more people over the age of 60 are going online and using Facebook, Google, Yahoo and Youtube. They are emailing, texting and blogging—and it is having a positive impact on their lives as they are communicating more frequently with family, reconnecting with old friends, keeping up with community developments and managing their health issues. As a part of its 8th Annual Home for the Holidays Campaign, Eldercare Locator is offering a guide with tips and information to help the aging population get more familiar with technology tools while also helping them make smart decisions about how to be safe online. 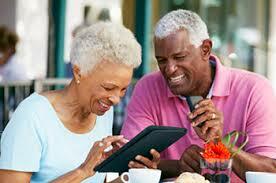 Recent studies have shown that the aging population has become especially receptive to social media. According to an eMarketer report, nearly 47 percent of baby boomers actively maintained a profile on the social web in 2009, up 15 percent from 2008, and so do 36 percent of people between the ages of 63 and 75. A recent Pew Research Center’s Internet & American Life report found that social networking has almost doubled for people ages 50 and older, growing from 22 percent to 42 percent over the past year. 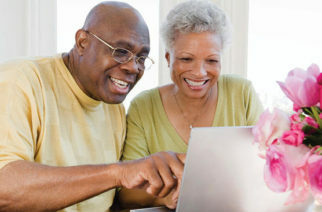 Eldercare Locator’s “Staying Connected: Technology Options for Older Adults” guide takes users through the basic facts about how to use tools like Facebook, email and texting, including privacy and safety information. 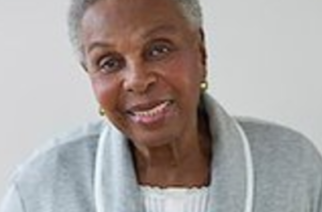 The guide also introduces YouTube, Twitter, Skype, Instant Messaging and blogging—all tools that older adults can use to stay connected through the internet and on cell phones with a variety of tech tools. The guide points out that in a matter of seconds you can send a message to your son, receive a photo from your granddaughter or email an invitation to a family gathering. While younger people are typically the “experts” on these new resources, many older adults also utilize the internet, social media and cell phones to communicate and receive information. These tools are an effective way to connect with family, friends and community resources. Text messaging: “Texting” is sending brief messages via cell phones. Sending a text is a quick and easy way to stay in touch. Text messaging is especially popular with teens and young adults, which makes it an effective way to communicate with your children and/or grandchildren. In order to send a text message you must have a cell phone that has the text messaging feature. You could incur additional fees for texting, so check your cell phone plan for details. Each cell phone is different—consult your manual to learn how to text on your phone. A couple of cautions: Never respond to text messages from someone you do not know. You may also receive SPAM via text message; just delete these messages. Never text while driving. Also be cautious about sending any personal information via text messages. Email: With email (short for electronic mail) you can send messages from one computer to another. You can write letters or notes to loved ones, but instead of using paper and sending them through the US Postal Service, you can send and receive email 24 hours a day, 7 days a week at no cost through your computer. Every email user has a unique electronic address that you use to send and receive messages, like john.smith76@yahoo.com. If you do not already have an email account, you can set up a free one on websites like www.gmail.com, www.yahoo.com and www.hotmail.com. Click on “Sign-Up” or “Create Account” and follow the steps to create your email account. Facebook: This is a social networking service and website with hundreds of millions of active users worldwide. On Facebook you can create a personal profile page to connect with family members, add other users as “friends” and exchange messages. Additionally, you can join common interest groups organized by various characteristics. To create a profile page you must have an email address. Sign on to www.facebook.com and fill in your information to create the page. You then have the option to add photos and additional information about yourself. You can search for and connect with your family, friends, organizations, causes and acquaintances all over the world. You can “friend” or “like” other users in order to follow their activity. Facebook makes it easy to send messages to grandchildren or organize a group of friends. When someone posts a message or photo on your profile page you will receive an email. Only add photos, videos and content that you want others to see. Search for friends through schools you attended, places you have worked and mutual friends. You should use “messages” (similar to an email via your Facebook account) to send private notes to other Facebook users and “wall posts” for information visible to all users. Skype.com allows you to make voice calls over the internet. You can make free calls to other Skype users. There is a fee for calls from Skype to telephones and cell phones. Skype is particularly popular for people making inexpensive or free international calls. You need a microphone and speakers or headset for your computer to use Skype (you can also place video calls if both users have web cameras). Blog stands for web log and is often used like a public diary. A blog can be its own website or part of a website. Blogs are usually maintained by an individual and offer the opportunity for followers to comment. Various websites offer free, easy-to-use blogs, such as www.blogger.com, www.wordpress.com and www.livejournal.com. Youtube.com is a video-sharing website where you can view, upload and share videos with friends and other users. Instant messaging (IM) is a form of real-time, text-based communication that enables you to chat with another computer user. Both people must be on a computer at the same time to use IM. Many email providers have IM/chat features, such as www.gmail.com, www.msn.com and www.aol.com. Twitter.com is a social networking website that enables you to post short, up-to-the-minute updates (known as tweets) and follow others’ tweets, which are text posts of 140 characters or less. Tweets are publicly visible.